Addressing the hype surrounding the Iraqi dinar to prevent more people from being misled about this investment. We will be updating this blog periodically so please join to be notified about the updates. "I had a distinction this week that I guess I would consider it as a badge of honor. I've been put on what is called the Dinar Douchebags blogsite as what is called the dinar douchebag of the month. You know folks, when you step into historic changing events there's always critics. There's always doubters. There's always those that want to complain, want to criticize, and want to call this a scam. First of all this can't be a scam, because a scam is when you're defrauding people out of money." First of all, I've been on both sides of the aisle. I owned dinar. I believed in this thing until I finally got around to doing my own research and discovered that almost everything that I was told was a lie. So I'm not just a critic or a doubter or a complainer. I'm a guy who woke up and recognized the RV for the scam that it is, and once I knew it was a scam I knew that those who were promoting it were scammers. In the two and a half years of this blog I've shown time and time again that scammers are drawn to the dinar like flies to schmidt. And yes, it can be a scam. I've listed dozens of organizations that have referred to it in exactly that manner. A scam is defined as a fraudulent business transaction. The fraud in the case of the RV is creating the expectation in speculators of an unprecedented 100,000%+ increase in the value of the IQD by a decree of the CBI. Pegged currencies are never revalued by more than a few % at a time. The largest RV in history was only 35% over an eight year period. The fraud is also based on lies told to convince speculators that this unprecedented increase is going to happen. The DOJ listed some of these lies in their case for fraud against Brad Huebner and Rudy Coenen. "EO13303 gives speculators the right to invest in the dinar." "The US Treasury holds trillions of dinar." Those were among the charges in the indictment. Also, Rudy lied about his background to convince people that he was a currency professional. That's fraud, too and was also included in the indictment. I've listed many other lies in my page "Forum Facts". So enough of this BS about "this can't be a scam". It can be and it is. That's why Rudy is now convicted and Brad is facing trial for fraud. "The other thing is critics are those who usually are very quick to shoot from the hip, and they refuse to do their homework. I'm going to be very honest. They're lazy. They wanna be angry, they wanna be mad, because down inside they wanna believe that it's too good to be true and they just won't do their homework." Actually I wanted to believe that it wasn't too good to be true. Who wouldn't? But the facts indicated otherwise. As for "lazy", I can tell that Davey hasn't read much of my blog or he wouldn't make such an ignorant statement. Even my critics will acknowledge that I've done extensive research. They might not agree with my conclusions or my style, but I've never had anybody say that I'm lazy. Not doing my homework is what got me into this mess. Doing my due diligence (a bit late, unfortunately) got me out of it. Over the past two and a half years I've posted about 250 times on everything from the (often fraudulent) backgrounds of the gurus to charts for the dinar and other currencies to IMF statements to the definitions of economic terms to the redenominations of the Turkish lira and the Brazilian real to an exposé on eight months of dinar commentary by Breitling which took me about four months to compile and which yielded a plethora of debunking material for future cases of dinar douchebaggery. So don't tell me I'm lazy and haven't done my homework. If anybody is lazy it's people who go by intel and rumours and never have any facts to back up their hype. If anybody is lazy it's people who try to make money off of "millionaire" seminars and donate buttons rather than earning a living by being productive members of society. With what I know about the dinar I could easily make a six figure income by misleading people, but I like to sleep at night. In a previous video Davey had announced that Okie was going to be on his program, and when Okie was a no-show Davey's explanation was that Okie's life was threatened, a claim that was quickly debunked by fellow douchebag TNT Tony. It's pretty bad when a sociopath like Tony has to call you on your BS. (And now another sociopath "frank26" is calling Tony on his BS. Hilarious!) 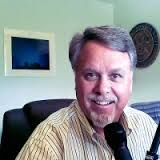 This was obviously a ploy by Davey to attract listeners and gain some guru creds, but it seemed to blow up in his goatee-adorned face as a firestorm of criticism erupted over the call. Davey ended up pulling the show (which included a "U.S. Treasury informant" providing details about the ongoing cash-in) off the air for "legal purposes". No schmidt! Anyway, since Davey seemed to embrace his March Douchie I figured I'd grant him another for April. For more info on this month's winner, Mike Diston and our friends at Mr. IQD have some great commentary on this guy. Check it out.